Guardicore has partnered with best-of-breed technology vendors to ensure that our solutions work seamlessly together in the most complex data center environments. Together we are transforming security in the software defined data center, delivering never before achieved levels of protection, visibility, automation and scale. Guardicore provides process-level visibility into network flows and application usage, definition, enforcement and monitoring of granular micro-segmentation security policies and real-time breach detection and response for RedHat OpenShift container application platform, Red Hat Enterprise Linux (REHL) and Red Hat OpenStack Platform. Amazon Web Services (AWS) is a secure cloud services platform, offering compute power, database storage, content delivery and other functionality to help businesses scale and grow. Guardicore helps organizations securely deploy workloads in AWS, including migration of workloads from on-premises to the cloud, by providing visibility into network flows and application usage, definition and monitoring of granular micro-segmentation security policies and real-time breach detection and response. 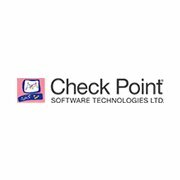 Check Point Software Technologies Ltd. is the largest pure-play security vendors globally, provides industry-leading solutions, and protects customers from cyber attacks with an unmatched catch rate of malware and other types of attacks.Check Point offers a complete security architecture defending enterprises’ networks to mobile devices, in addition to the most comprehensive and intuitive security management. Check Point protects over 100,000 organizations of all sizes. Docker, Inc. is the company behind the Docker open source platform, and is the chiefsponsor of the Docker ecosystem. Docker is an open platform for developers andsystem administrators to build, ship and run distributed applications. With Docker, IT organizations shrink application delivery from months to minutes, frictionlesslymove workloads between data centers and the cloud and can achieve up to 20Xgreater efficiency in their use of computing resources. Nuage Networks strikes at the heart of the cloud networking challenge: Choreographing datacenter and wide-area networks to maximize responsiveness, utilization and visibility. 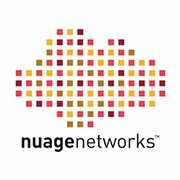 Nuage Networks delivers a highly programmable infrastructure that bridges the gap between the application-centric view and the equally important network-centric view, realizing the full power of SDN. Nutanix makes infrastructure invisible, elevating IT to focus on the applications and services that power their business. The Nutanix enterprise cloud platform leverages web-scale engineering and consumer-grade design to natively converge compute, virtualization and storage into a resilient, software-defined solution with rich machine intelligence. The result is predictable performance, cloud-like infrastructure consumption, robust security, and seamless application mobility for a broad range of enterprise applications. 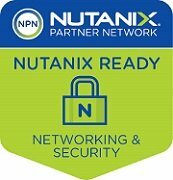 Learn more at www.nutanix.com. VMware is a global leader in cloud infrastructure and business mobility. Built on VMware’s industry-leading virtualization technology, our solutions deliver a brave new model of IT that is fluid, instant and more secure. Customers can innovate faster by rapidly developing, automatically delivering and more safely consuming any application. VMware has more than 500,000 customers and 75,000 partners.